Central Queensland and the Hunter Valley coal mining regions have proven to be ideal locations for Sigra’s multiple piezometer installation and pulsed DST field services in 2018. Sigra field engineering crews spent time earlier this year in some of Australia’s most resourceful coal mining regions conducting our specialist services for the longevity of the mine sites. In regions such as central Queensland and the Hunter Valley where multiple coal seams exist, maximising returns from exploration expenditure is a top priority for any mine operator. Sigra is capable of installing up to 7 piezometers in single HQ diameter boreholes which can exhibit almost immediate, accurate signal response from pressure fluctuations located at multiple seams. In addition to the multiple Piezometer installation Sigra can couple this field service with pulsed DST work to offer a total package of seam pressure monitoring and directional permeability analysis. From Sigra’s substantial experience in technical field services it has become quite clear that the current most common technique for transducer installations is inadequate as it provides data that is often a misrepresentation of what is actually occurring in the ground. While the benefits of cost effective projects are appealing, what really is most important is accurate and relevant data that contributes to site operations and development. Under the current most common practices for transducer installations it may take up to 3 months for seam/reservoir/formation pressures to stabilise and show correct data at surface. During this time mine engineers and geologists have focused their attention on incorrect data and at times, based future mine operations around their results. After a typical installation the seam/reservoir/formation needs time to overcome the grout before the transducer can read an accurate stable pressure. Sigra’s patented method of piezometer installation bypasses this issue by micro-fracing the grout surrounding the piezometer to introduce connectivity with the seam/reservoir/formation. Creating this connectivity allows the piezometers to accurately read the pressure in the reservoir almost immediately with the ability to also see in real time formation pressures reaching their natural state. This means that clients can make faster decisions with a greater level of certainty for future operations. For a detailed description on Sigra’s multiple piezometer installation technique click the video link below. Pulse testing is another unique specialist service used by Sigra for accurate measurement of the inhomogeneity and anisotropy of a formations permeability. The technique is also useful in that it can be used as an alternative to interference testing as it provides a well to well, directional value of transmissibility. It is particularly useful when used in multiple hole tests and is not limited to any specific industry. Pulse DST involves sequentially testing individual seams for their permeability and then placing piezometers at the seam depths at the completion of each borehole. The piezometers do not need to be grouted in place for the pulse test however if they are, there is the added advantage of having them available to monitor fluid pressures at the site moving forward. After the tests on the initial borehole are complete another borehole to be tested is drilled close by and a transient pressure pulse is sent to those boreholes fitted with piezometers. The most convenient way to test each well is by isolating the test zones and conducting a DST, hence the name “pulsed DST”. Pulse testing requires very sensitive pressure sensing equipment in the observation wells and negligible well bore storage. Sigra has the pressure sensing and logging technology to achieve this. 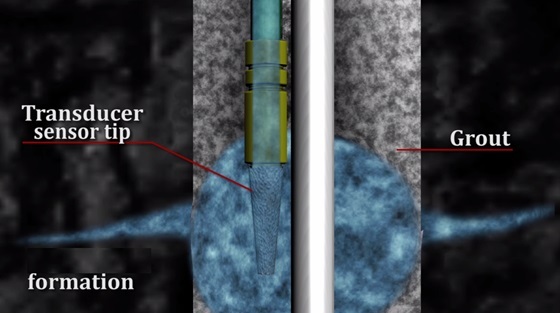 For normal well spacing it is only suitable for high transmissibility reservoirs but can be used for quite low transmissibility’s if the wells are drilled at close spacing. These field services are best used in conjunction with our specialised in-situ stress testing (IST) by overcore method to help supply clients with as much data and geotechnical information as possible. The data can offer important details which overlap and are essential to mining and civil operations and planning. Sigra additionally offers consulting and analytical services in combination with our field operations. For a more detailed description of the Sigra’s field services and products visit our website.